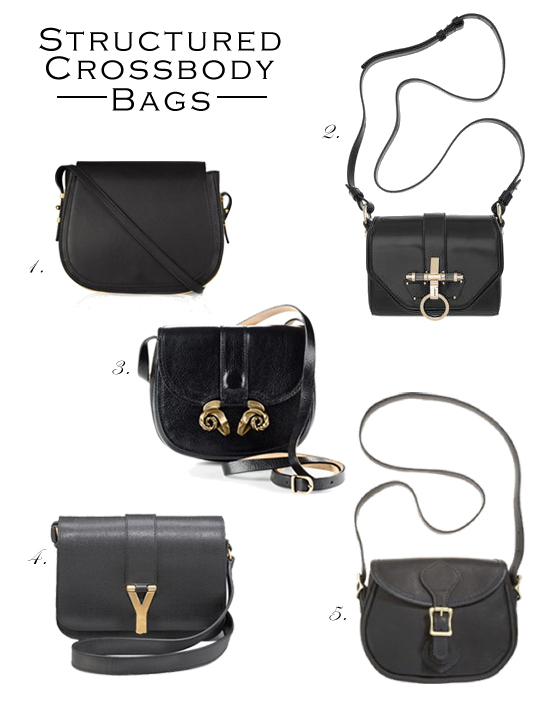 The little black bag, much like the little black dress, has long been a staple in every woman's wardrobe. This season it's all about the structured crossbody bag. It's a more polished choice for the woman on-the-go. We love the creative hardware on the Givenchy, Derek Lam and YSL bags, but there's also something so chic about the simple design of the Michael Kors and J.W. Hulme bags.